Parksville Qualicum Beach News speaks to two secondary students about their experience with Encounters with Canada. The Gauntlet covers the Indigenous Arts & Stories contest. 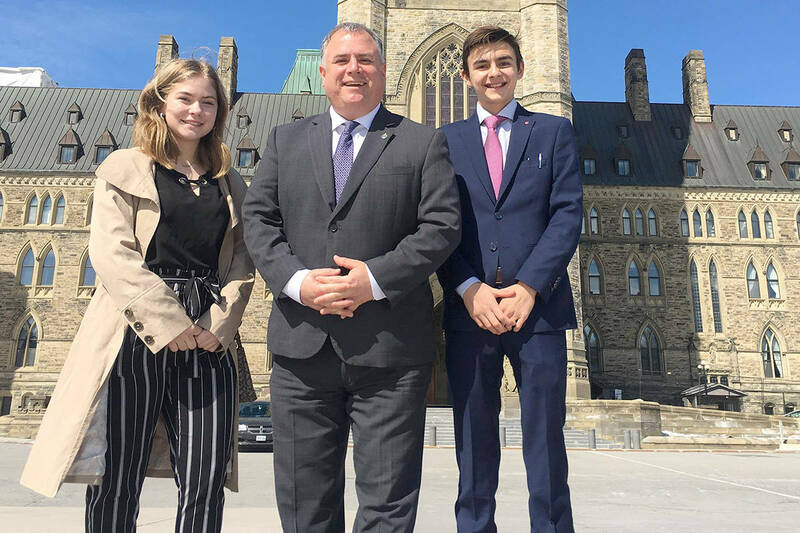 Stories of Sir John A.
Ramsay Locke (Grade 9), and Faith Cook (Grade 10) were in Ottawa from March 17-23 for Encounters with Canada – a nationwide program where students can travel to the nation’s capital to explore aspects of Canadian governance, history, and culture. Read the full story here. 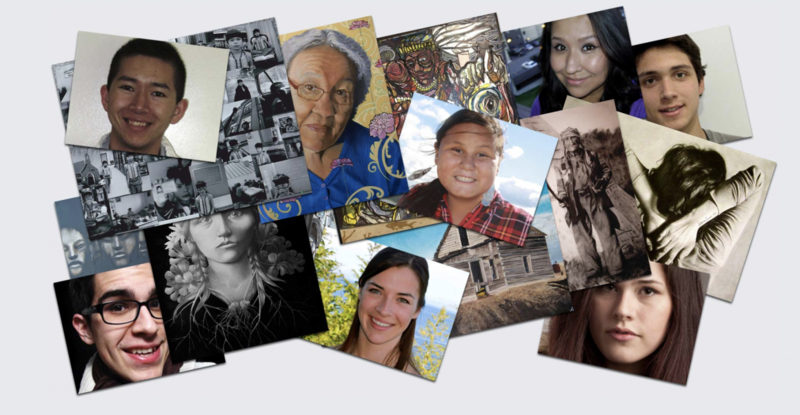 Indigenous Arts & Stories is a writing and art competition presented by Historica Canada for Indigenous youth across the country between the ages of six and 29. Prizes for the competition include $2,000 cash and a trip to Ottawa to be honoured at the Governor General’s History Awards. Read the full story here. Global News remembers Second World War veteran Jack Hilton. Alberta Second World War veteran Jack Hilton died on March 7 at age 99, the Royal Canadian Air Force has confirmed. Jack Henry Hilton shared war stories with the Memory Project. Read the full story here. Kamloops This Week covers the new Heritage Minute on the Vancouver Asahi. Kaye Kaminishi is the last living member of the legendary Asahi baseball team. Read the full story here. Lisa Uyeda writes an op-ed piece for The Georgia Straight about the new Heritage Minute on the Vancouver Asahi. On a sunny October day, I made my way to Woodland Park to watch history being made. The legendary Vancouver Asahi had once again taken the field, or at least a very close replica. The story of the baseball team was being turned into a Heritage Minute, produced by Historica Canada, the first to narrate a significant moment in Japanese Canadian history. Read the full story here. The Hope Standard covers the new Heritage Minute on the Vancouver Asahi. Historica Canada’s latest Heritage Minute, which airs Wednesday, Feb. 20, features some very familiar scenery while telling the stories of the Asahi and the Japanese internment camps of the Second World War. Read the full story here. The Canadian Press covers the new Heritage Minute on the Vancouver Asahi. VANCOUVER — A new heritage minute is sharing the story of a pioneering baseball team in British Columbia and the shameful government policy that tore them apart. Read the full story here. Dave Zarum of Sportsnet covers the new Heritage Minute on the Vancouver Asahi. The Heritage Minute examines the Asahi’s enduring if under-told legacy, including Kaminishi, who was 16 years old when he first joined the team in 1939. Read the full story here. Daily Hive covers the new Heritage Minute on the Vancouver Asahi. A new Heritage Minute is telling the story of a Japanese Vancouver baseball team, and shining a spotlight on a shameful period of Canadian history. Read the full story here. Global News covers an Ipsos poll on D-Day conducted for Global News in partnership with Historica Canada. An Ipsos poll for Global News in partnership with Historica Canada found we failed when asked six multiple choice questions on D-Day, the date which Allied forces invaded northern France. Read the full story here.